How to watch The Fifth Estate (2013) on Netflix Costa Rica! 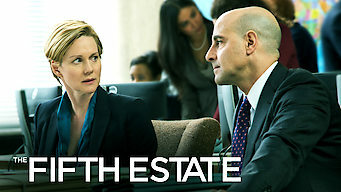 Yes, The Fifth Estate is now available on Costa Rican Netflix. It arrived for online streaming on January 28, 2019. We'll keep checking Netflix Costa Rica for The Fifth Estate, and this page will be updated with any changes. This fact-based drama recounts the early days of the controversial but revolutionary WikiLeaks website and the inevitable conflict it wrought. To some, he's an Internet hero. To others, a security threat. One thing's for sure: He's made the powerful very nervous.